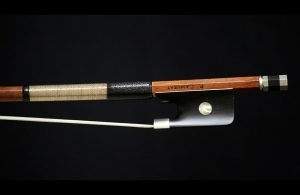 Description: Born in 1960, Pascal trained as violin maker in Mittenwald and as a bow maker in Paris. Since then, his career has gradually become enriched in all facets of the music business : manufacturing of instruments and bows, repairing, restoration, trading of instruments and expertise. 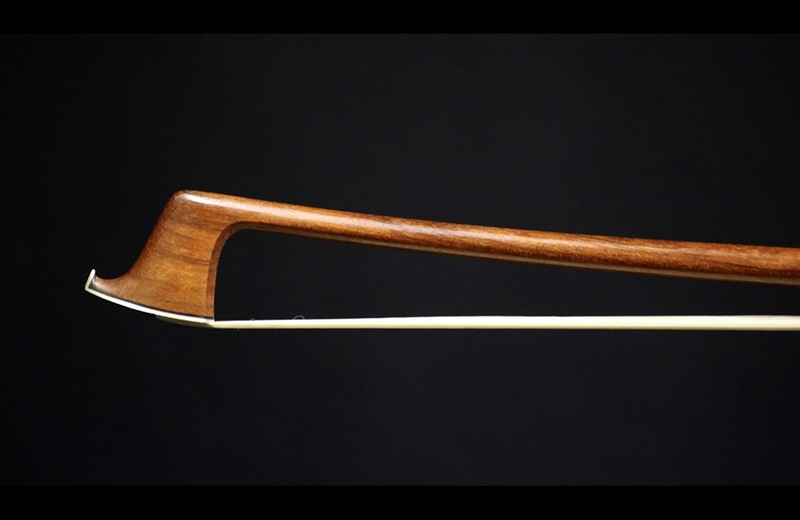 Having made his first bow in Paul Siefried's shop in Los Angeles in 1984, he completed his bow training with Stephane Thomachot. While in LA, he completed his training in restoration of instruments with internships at Hans Weisshaar (Los Angeles, 1985) and in the studio of Charles Beare (London, 1987) after which he succeeded his father Jacques Camurat in Paris for 10 years with his brother Bernard. His professional activities have led him to become General Secretary of the International Society of Violin and Bow Makers, as well as Chairman of the Association of Violin and Bow Makers of France. Today, he has found his place in Montpellier, France, where he makes fine violins and bows. 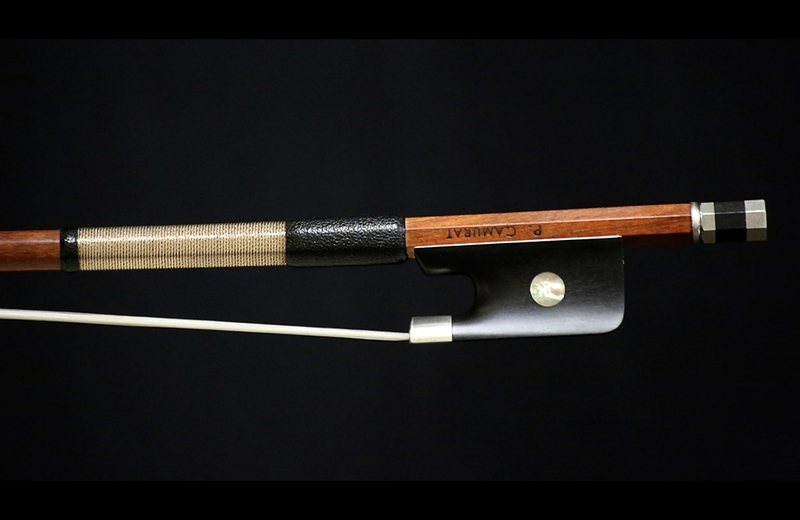 This particular bow is in mint condition and creates an smooth, powerful tone across the strings. The round stick is mounted with silver and ebony. The frog has motherWeight 70.7.